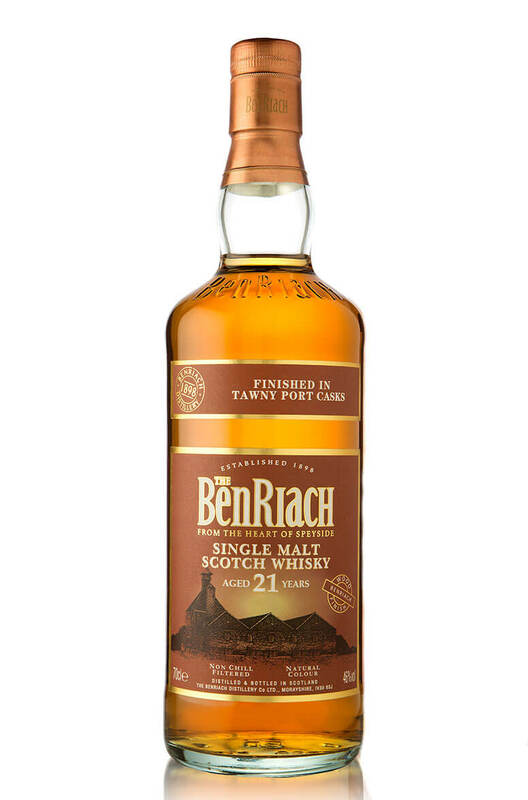 A superb 21 year old expression of Benriach. This was initially matured in refill American oak barrels before being finished in tawny port hogshead barrels. Aromas (with water) A perfect balance of fresh cranberries and warm white pepper develops to a combination of tart raspberries and boiled candy. Flavour Delicious toasted oak spices and hints of orange peel develop to a lively contrast of wild red berry compote and sour cherries, followed by a rich stewed barley character. Types of Barrel used for Aging Finished in tawny port hogsheads.